EACH HAIR CARE EXPERIENCE begins with a moment of relaxation. After a thorough consultation and a discussion of your personal needs and preferences, the artistry of color and cutting will begin. We invite you to relax, reflect, and rest assured that we will confidently take great care of you. Our prices reflect the levels of our stylists, according to their years of experience, education, and expertise in particular areas (color, cutting). All of our stylists are required to attend all AVEDA Cutting and Color Trends classes twice a year with the AVEDA Purefessional Instructors. 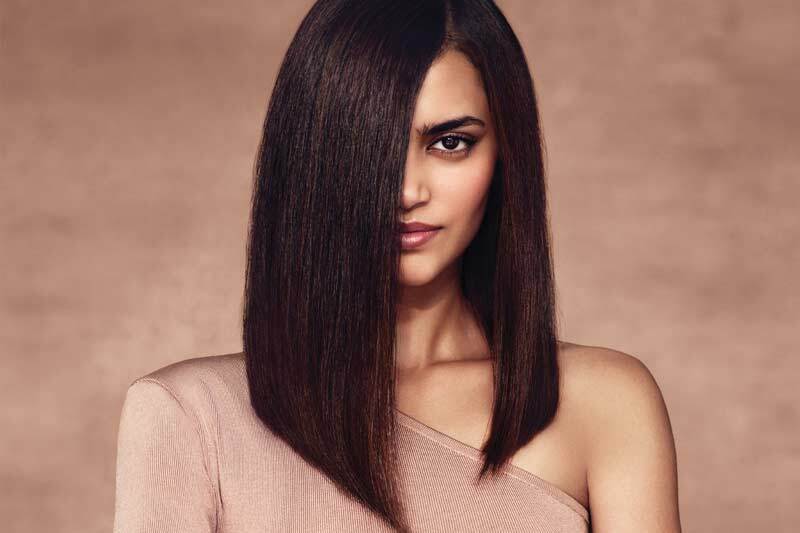 In addition, our Master Stylists have attended the New York City AVEDA Academy for extensive training in Men’s and Women’s Cutting and Color technique and Editorial (Evening and Bridal). We are always learning to provide the most up to date color and style for you, our valued customer. Vibrant, fade-resistant color that is up to 97% naturally derived from plants, non-petroleum minerals or water. *Plus the cost of additional color as needed for extra think or long hair, and color transformation requiring the use of more color. Treatments to strengthen and repair hair. Does your scalp need a detox? Pramåsana Scalp Treatments deeply, yet gently cleanse and purify your scalp to help instantly balance sebum levels, while exfoliating and removing pollution – creating a clean scalp foundation for beautiful hair. Your scalp is left invigorated and refreshed. a 15-minute consultation is required for all first-time clients having Relaxers, Brazilian Blowouts, Hair Extensions, and Specialty Perms. Depending on length of hair, includes consultation. Estimate given at consultation appointment. A 15-minute consultation is required. Cost is determined by the amount of hair needed to purchase, and the amount of time booked for this service. Many add-on treatments can be added on to a hair cut or color service. To ensure the correct treatment and time needed, please call the salon for clarification of your needs.